Rice is a staple in Mexico and a popular side dish along with beans. There are many ways to prepare it, and here are just a few to get you started. Try to pair the rice ingredients with what you are making as the main dish. If you are serving chicken or pork, Easy Mexican rice is perfect. 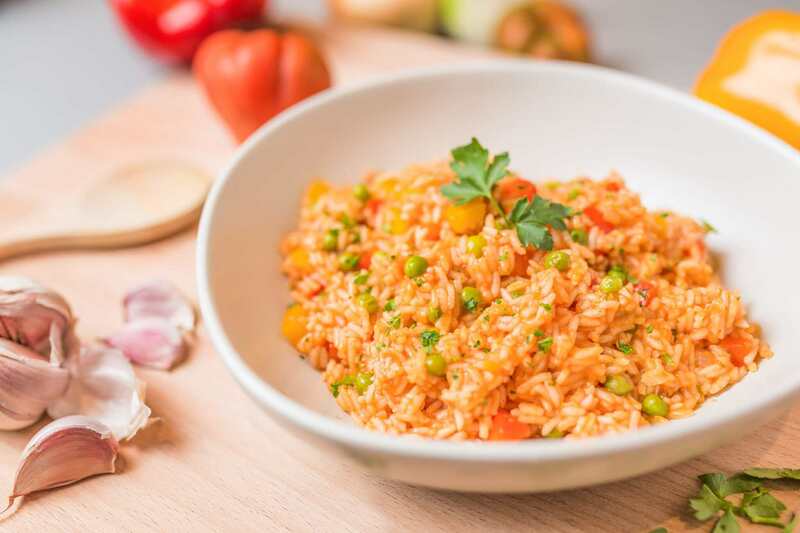 If you are serving a beef dish, try the Mexican Rice with Roasted Tomatoes which is made with beef broth. This rice is not for the sensitive palette. It packs a spicy punch, but still delivers a bold Mexican flavor that pairs well with grilled foods. Of course you can adjust the heat with the type of chile sauce you use, but it will still be very spicy. In Mexico, white rice is often cooked with vegetables giving it additional color, texture and flavor. This particular dish uses water as the liquid, although you could substitute vegetable broth. Use whatever vegetables you have on hand such as carrots, peas, corn, celery, onion, bell pepper, green chiles or zucchini.